To ask Vignesh Ravichandran questions, please sign up. 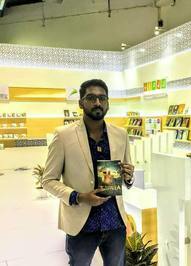 Vignesh Ravichandran I experienced the story plot as a nightmare before 8years and later i developed the plot and converted it into a Fantasy novel. "Egyptians & Andromeda galaxy.! Wow really a different one... Amazing story which i ever read before.... Archeology lovers, space lovers must read this book..."